Stolen Bikes and Fiction have released their new 2018 catalog giving you a look at all of their new complete bikes, frames and parts! As you can see in the catalog, Stolen and Fiction have a number of new items from updated bikes to new frames, parts, colorways and more. They range of bikes covers a little bit of everything from their 12″ Agent to their 26″ Zeke XLT. 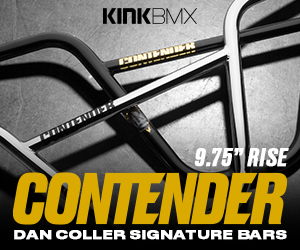 You can also find the new 22″ Spade complete, along with 22″ parts like the Rampage rim in there as well. 22″ Bikes will be something we’ll be seeing plenty more of in the 2018 range of bikes and parts from a number of BMX brands. Either way, check out what Stolen and Fiction have been working on and hit up your favorite dealers to get some of this goodness ordered up.